The last week of April 2018 – the 22nd through the 28th – is National Infertility Awareness Week (NIAW) sponsored by the National Infertility Association (RESOLVE). Look: This week of infertility awareness is purposefully scheduled slightly before Mother’s Day upcoming in May. Why is this important? The movement’s objective is to bring awareness to the crisis of infertility and support those suffering from the disease. 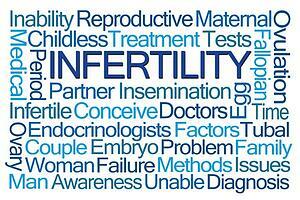 Infertility is indiscriminate. Every race, religion, sexuality, and economic class is impacted by infertility. NIAW’s mission is to educate the public about the impact of infertility on society. Bottom Line: The movement’s goal is to remove present day societal barriers created by infertility and reduce the shame suffered by those who are unable to conceive a child. NIAW’s goal through this awareness movement is to remove present day societal barriers created by infertility. Did you know? The U.S. is in the midst of a prominent decline in child birth rates. Ten years ago, the typical American woman had about 2.1 children. Today, she has about 1.77 – a decline in fertility being felt across the country. Bottom Line: Infertility is a challenge facing American women. Infertility needs more attention and awareness from society, as well as the government. While infertility is rampant in the U.S., there’s still no government support to fund costly fertility treatments – such as IVF – opines Dr. John Zhang in a recent Fortune Magazine article addressing the crisis. The movement lets lawmakers know about the infertility crisis and why insurance should cover treatment costs. Insurance coverage for infertility is only available in 15 out of the 50 states in America. Many lawmakers believe that including fertility treatments would raise the cost of insurance for everyone. More upcoming dates to look forward to as an opportunity to spread awareness about infertility. Our patients undergo a complete fertility assessment and diagnostic testing before a customized infertility treatment plan is designed and implemented. Understanding the root cause of your infertility is the only way to effectively treat the problem so that you can get pregnant. Knowing the cause of your infertility will also help you cope better with the realization that you are going to have to take on the financial and physical demands of IVF treatment. To schedule your initial consultation with the fertility specialists at New Hope Fertility Center – click the icon below – or call 917.525.5496.